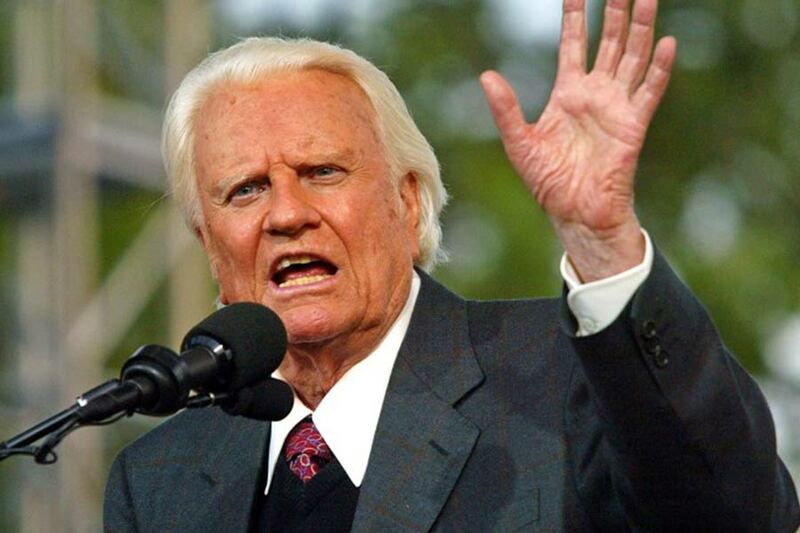 God has called home one of America’s greatest ambassadors of the Christian faith. His ministry encompassed almost seven decades of devoted service to the Lord. He hosted 417 crusades in 185 countries speaking to over 85 million people face to face and a total of 215 million by satellite feeds. Today (February 21, 2018) the angels are rejoicing, and Billy Graham can see the millions who came to know the saving grace of Jesus through his ministry. I came to know Jesus through the inspiration of a friend whose mother came to faith by attending a Billy Graham Crusade. The truths that Dr. Graham taught from the pulpit and in his books about God’s word intrigued me. Shortly after our wedding, we began to attend a liberal denominational church. We began drifting into the things of this world. In 1971 Billy Graham held a crusade in Oakland, California at the Coliseum. We attended several nights and rededicated our lives to serving Christ. During my thirty-seven years of ministry with Men’s Ministry Catalyst (a.k.a. Let’s Go Fishing Ministries, Inc.) thousands have come to Christ and tens of thousands of families continue to be impacted by the impressions we receive from God’s word, the wise counsel of friends like you, and the power of Billy Graham’s messages that resonate in our hearts and minds. Billy Graham prophetically said, I realize that my ministry would someday come to an end. I’m only one in a glorious chain of men and women God has raised up through the centuries to build Christ’s church and take the Gospel everywhere. Very few of us will have the opportunities Billy had to testify about God’s saving grace. At the end of the day, most of us won’t be speaking to millions, but we can do something to witness for Jesus. I’m often reminded that I am only one, but I am one. I cannot do everything, but I can do something. And I will not let what I cannot do interfere with what I can do. Daniel Webster said: If we work on marble, it will perish; if on brass, time will efface it; if we rear up temples, they will crumble into dust; but if we work upon immortal minds and imbue them with principles, with the just fear of God and the love of our fellow men, we engrave on those tables something that will brighten to all eternity. May we take Billy Graham’s heart for saving the lost and multiply the message of Calvary’s Cross to those who God puts in our path. God gives each of us one life on this earth to make our mark. His plan and purpose for each one of us is different. How we use our life ultimately is the legacy we leave. At the end of each day, we need to ask ourselves if we modeled honor, glory, and respect to God? Did those who God has put in our path see a bit of Jesus in our character? Billy Graham lived a life of sacrifice and was a tremendous witness of God’s character. What can we do to show love to others?